Since its inception with the republication of The American Vignola by William R. Ware in 1977, the Classical America Series in Art and Architecture has been a leader in the publication of important books related to classical design, architecture, painting, and sculpture. The mission of the Series is to promote understanding and appreciation of classical art and architecture and encourage the application of the historical principles and techniques of the tradition in new works for our own time. The intended audience of the series includes design practitioners and students as well as the interested layman or potential patron. The series has returned to print a number of essential texts for classical art and architecture, beginning with The American Vignola and recently a student edition of Paul Letarouilly’s Edifices de Rome Moderne, published in partnership with the Princeton Architectural Press. These have been supplemented by titles on individual architects, buildings, or styles presenting documentation of the models upon which new classical work will be based. The Series seeks to promote both historical scholarship and new classical work. 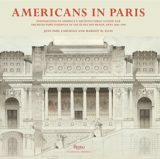 In addition to reprints, the series includes new titles, such as the forthcoming Architecture of the Classical Interior, by Steven W. Semes, and Monumental America, by Catesby Leigh, and includes examples of contemporary classical practice as illustrations in both new and reprint volumes. 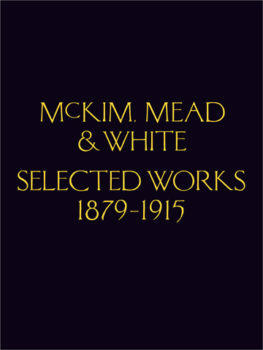 Compiling four original volumes of the work of the architecture firm McKim, Mead & White into one, this book is supplemented with an introduction from Richard Guy Wilson and an essay by Leland Roth. Published in association with the Princeton Architectural Press. By Edith Wharton and Ogden Codman, Jr.